Mr. Hall writes to ask Miss Berry to look through the "Pic" Pep Annual and asks her approval for the proposed dedication of the next issue. 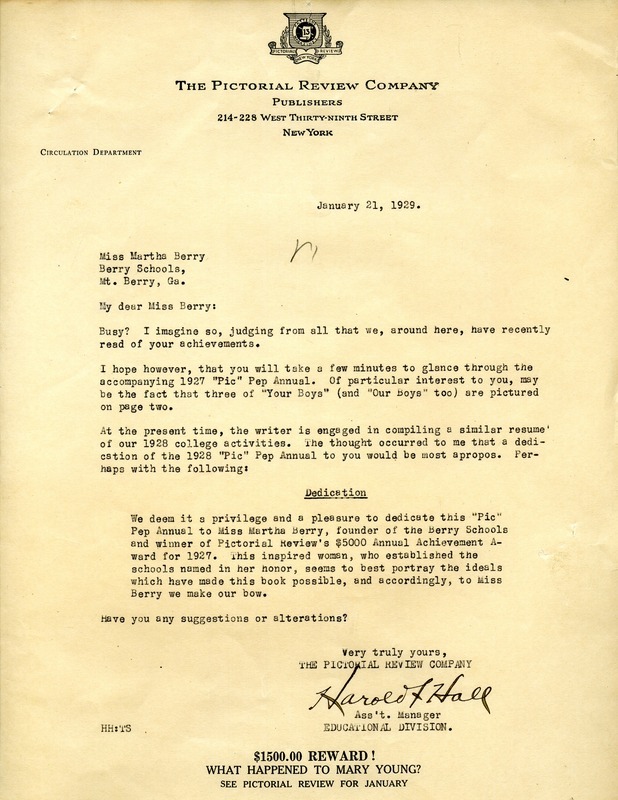 Mr. Harold Hall, “Letter to Martha Berry from Harold Hall.” Martha Berry Digital Archive. Eds. Schlitz, Stephanie A., Chelsea Risley, et al. Mount Berry: Berry College, 2012. accessed April 25, 2019, https://mbda.berry.edu/items/show/10815.